From March to April 2019, we will be on buses to ask riders about their trip. Riders can now call one phone number (504-248-3900) to get information for both JeT and RTA! Take the Jefferson Transit Strategic Plan surveys online now! 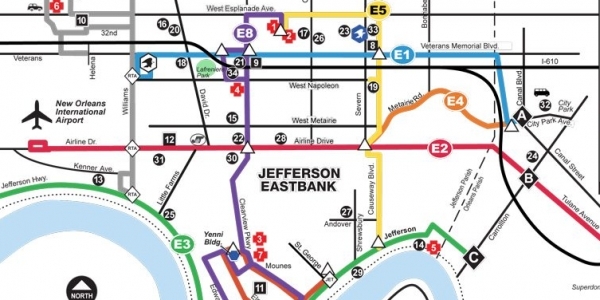 Welcome to Jefferson Transit, serving the urbanized portion of Jefferson Parish, Louisiana. Jefferson Transit (JeT) also provides service to New Orleans and the Louis Armstrong New Orleans International Airport. 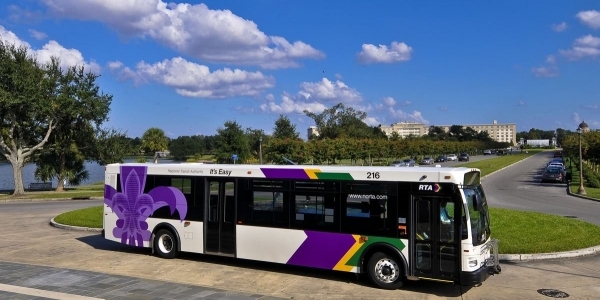 Connecting service is provided to the RTA bus lines in Kenner, Gretna and New Orleans. 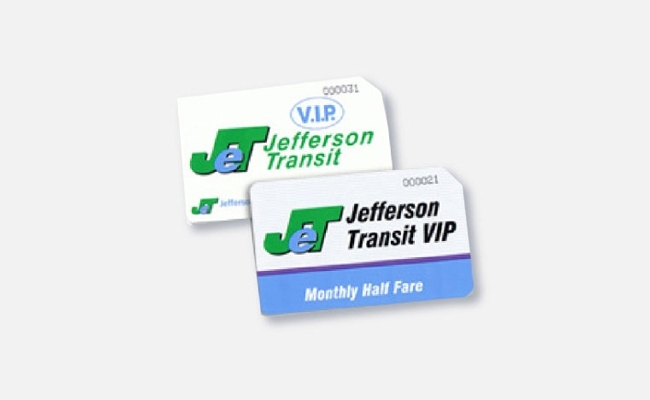 Jefferson Transit provides both fixed route ADA accessible bus service and MITS curb-to-curb paratransit van service for certified riders who are unable to use the fixed route service. Please look for temporary bus stop signs as pictured here.